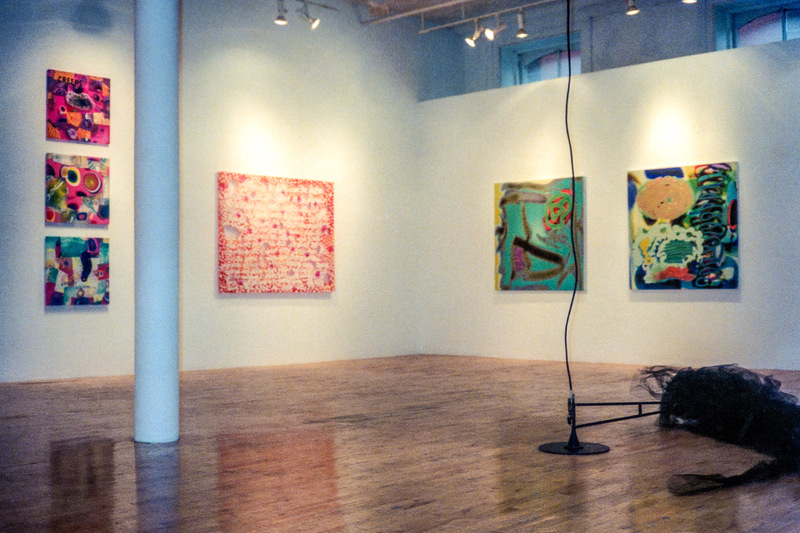 Installation view of Canny at Art Projects International, New York, 1997. Art Projects International (API) is pleased to announce Canny; ten artists, through craft and cunning, throw down a gauntlet and then prod the viewer into taking to heart their artifice. 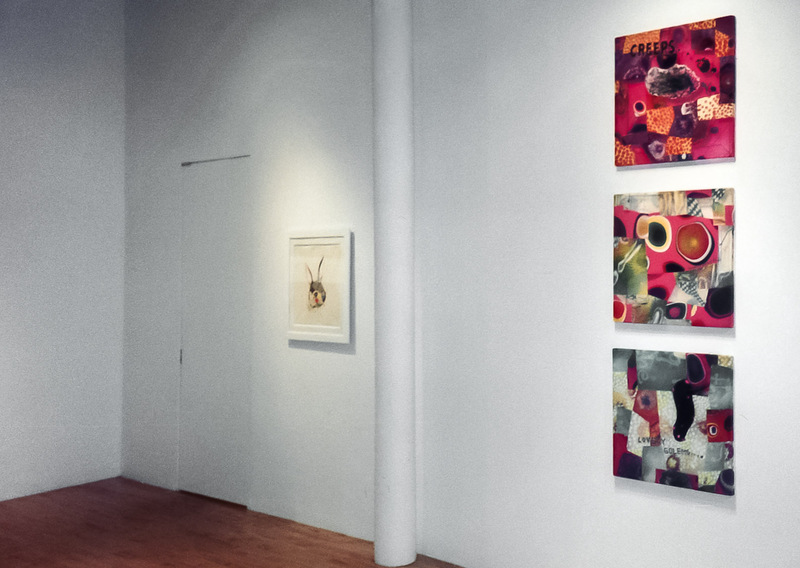 Canny runs from November 1 – 26, 1997 at Art Projects International’s gallery at 470 Broome Street at Greene Street in SoHo. I am intimately persuaded that all one’s most involuntary perceptions, such for instance, as that of words spoken by the prompter in the wings, carry within them the solution, symbolic or otherwise, of some difficulty within oneself. It is a question again, of knowing one’s way about the maze. Looking into the plexiglass blocks of Christian Brown, the viewer is easily confounded–what is being seen and how did it get there or how was it made? At first it might seem that half familiar creatures or the results of half familiar natural processes themselves have been frozen into the plexi; upon closer observation the viewer’s wonder increases as the artist’s craft becomes–without ever fully revealing itself–apparent. In Gordon Terry’s work the “how’d he do it” factor is not as overt but just as impressive. Translucent acrylic paint is poured onto glass, peeled off the glass, and stretched onto acrylic stretcher bars using no adhesive other than natural affinity. The viewer is confronted with manipulated texts and images stolen from, among other sources, the popular science fiction of another era. 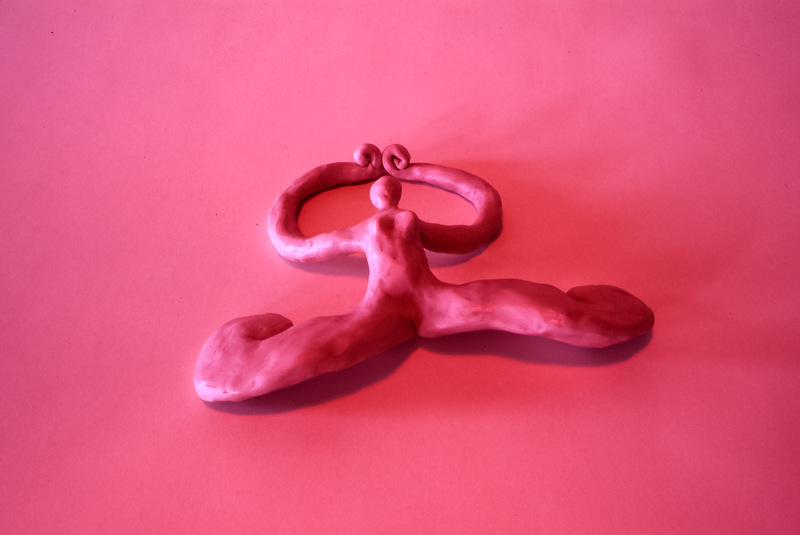 Holly Zausner makes amorphous sculptures and documentations of these sculptures. Her red hued photo of one of her creations depicts an otherworldly environment where the sculpture seems very at home and where we as viewers feel that we would be if not unwanted at least foreign. Debora Warner creates sculptural tableaus of small, mundane toys and objects which she also photographs. The strangeness of the blown up photos of her close-ups of these tableaus lies not in her creation of new worlds but in her focus of our attention on the bland details of our own. Ward Shelley’s humble constructions often creak, complain, and wobble in their struggle to get nowhere. Unlike more rarified objects with these sorrowful surrogates, a viewer can feel an easy complicity. It is immediately apparent that Bob Medvedz draws well and meticulously–but what it is he is drawing is another matter. Multitudes of exactingly applied hair thin lines form images ranging–sometimes in the same drawing–from the overtly humanly sexual to anthropomorphic abstractions. From afar Bob Griffin’s works look like slick ab-ex knock offs. Upon contemplation and study the viewer learns that these unabashedly beautiful works are largely computer generated. A bit of vertigo sets in as one tries to determine what’s what and where even to begin to decipher the artist’s conceit. Brandon Ballengee makes totems and fetishes. Despite the obvious association with what has been called primitive art, these objects made from materials found in the artist’s urban environment seem entirely appropriate as the production of an urbane artist who has one eye on the meaning of the end of the West’s predominant calendar’s second millennium and who, as well, lives in the contemporary cultural flux of one of the world’s largest metropolitan areas. Lauren Garfinkel transforms decorative household objects and apparel of the turn of the century (the last one) into glorifications of the abject–physical deformities, puke, sweat, the bloody aftermath of violent acts. 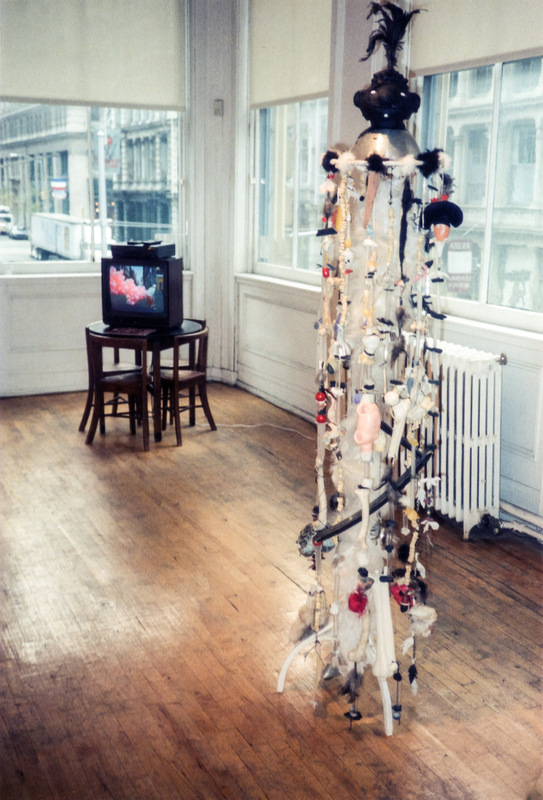 David Henry Brown Jr.’s characterizations of various invented personalities–as in his performance where he is an old woman with a walker who walks the city streets with umpteen helium filled pink balloons trailing behind her–hit the viewer in the same part of the brain that the image of Santa Claus hits. Nobody has ever seen, in real life, the entities he emulates–yet, they are intimately familiar.